The Commando is one of the many Machine Guns in the Evolution: Battle for Utopia game. The Commando Machine Gun can deal 50/85 (Min/Max) of damage, has 25/50 (Min/Max) of magazine size and 0/10 (Min/Max) of critical chance. Commando Machine Gun can be upgraded or dismantled at your Workshop. 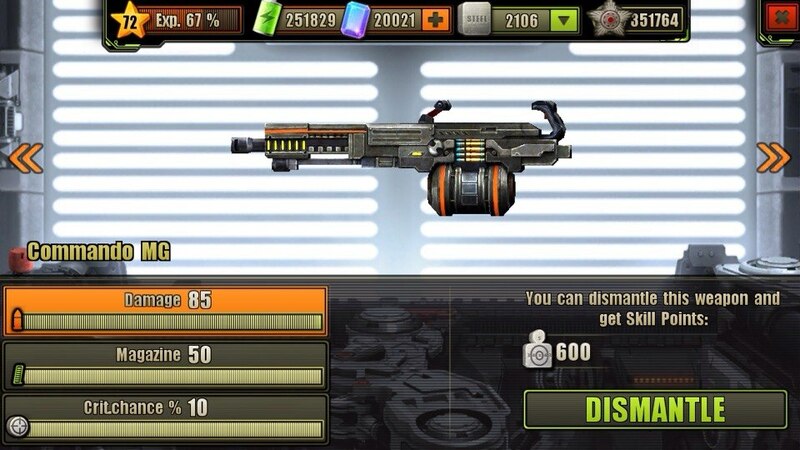 Full upgrade cost for Commando Machine Gun is 5625 , 210 , 11250 and 04:45:00 of time. Can this weapon be upgraded with gems?